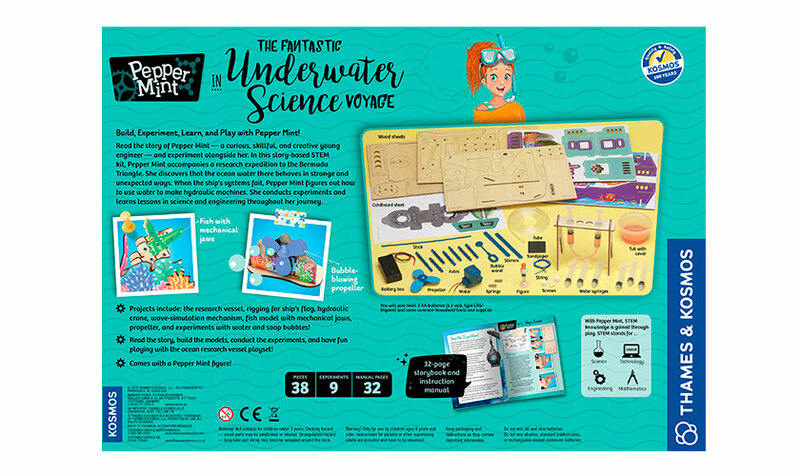 In this story-based STEM kit, Pepper Mint accompanies an expedition to the Bermuda Triangle. Soon she discovers that the ocean water there behaves in strange and unexpected ways. 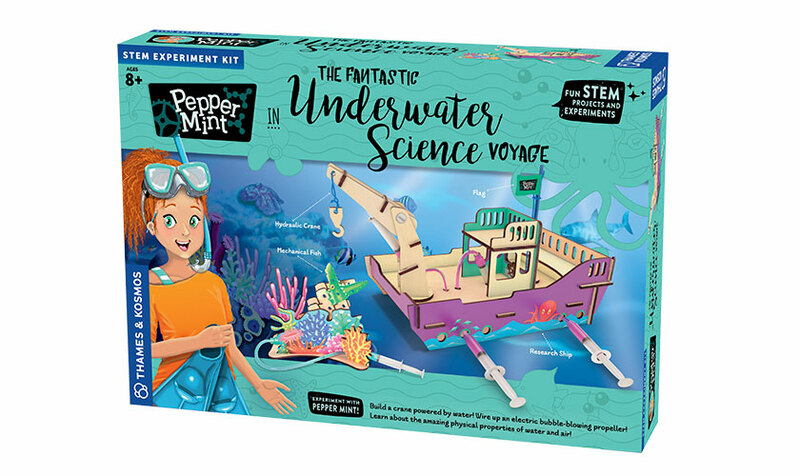 When the onboard systems of the research vessel fail, Pepper Mint figures out how to use water to make simple hydraulic machines and conduct experiments with pressure and density. The accompanying story takes the characters from experiment to experiment and shows them how to power small machines with the help of water. 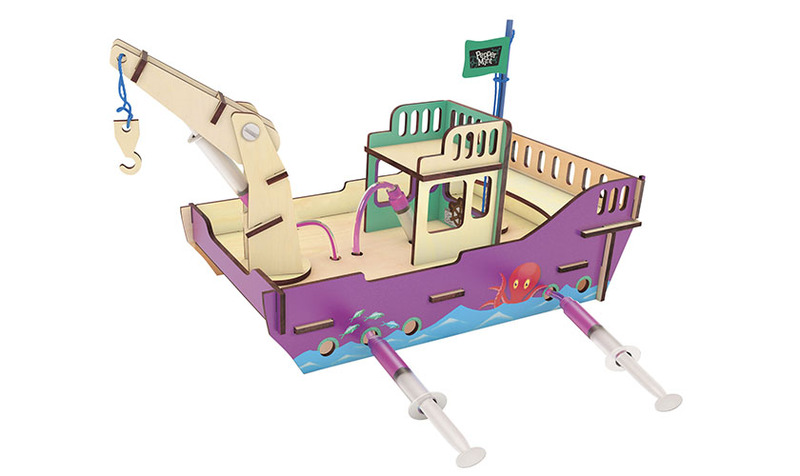 Pepper Mint constructs a rig to raise and lower the ship’s flag and a series of hydraulic devices including a ship’s crane. 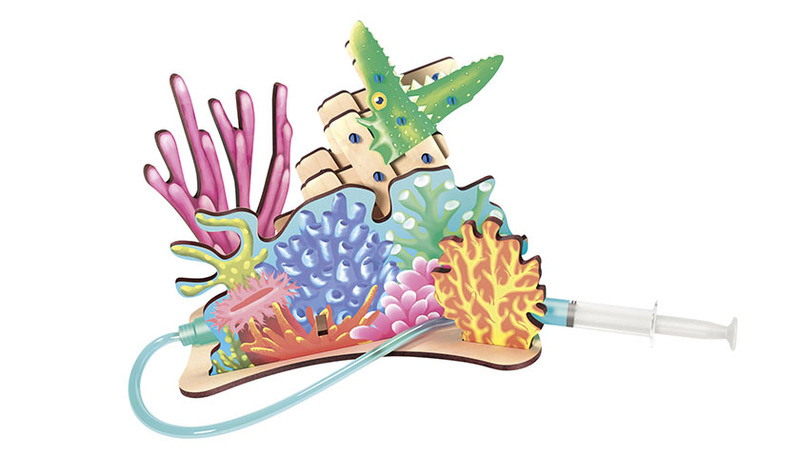 A deep-sea fish with big snapping jaws is modeled using a scissors mechanism. 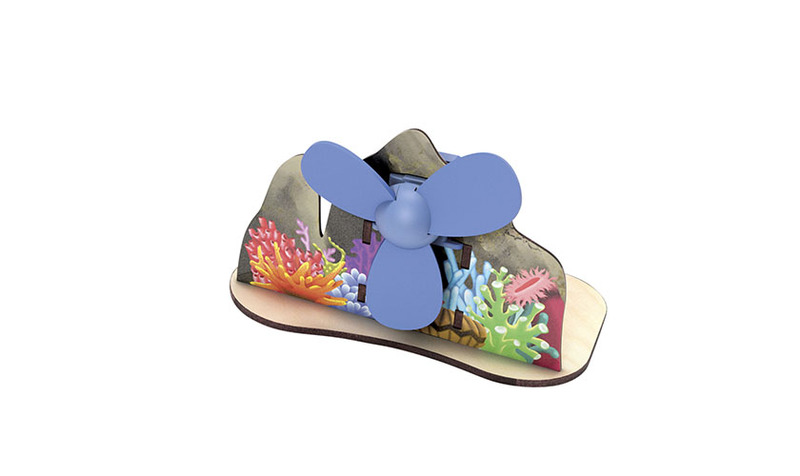 Finally, Pepper Mint fixes the ship’s propeller and discovers it produces a lot of tiny air bubbles, which inspires the creation of an electric bubble-blowing machine with a propeller. 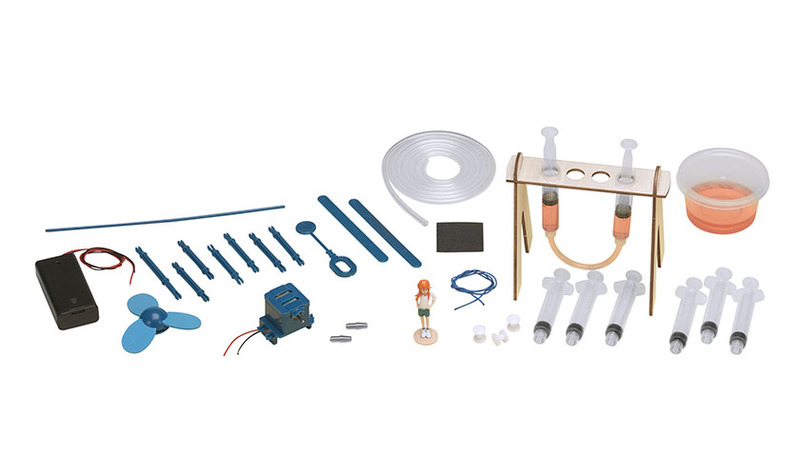 The experiments teach lessons in mechanical physics, electric circuits, and physical science principles related to water and air. 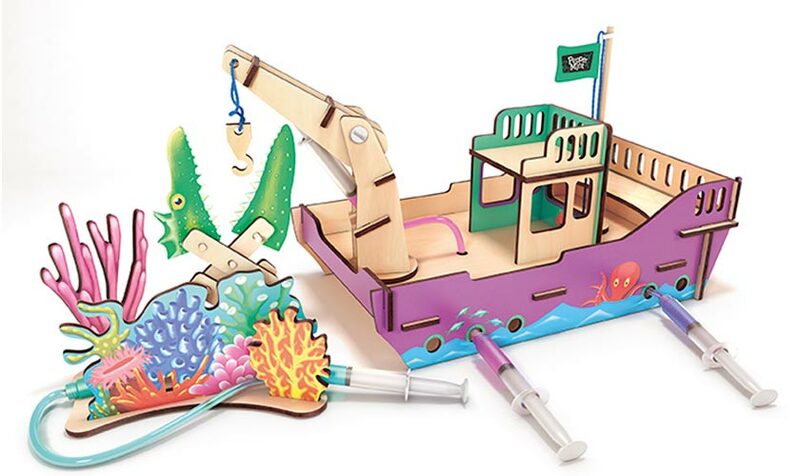 The kit includes materials to build the boat and do the projects, a full-color illustrated storybook and step-by-step instruction manual, as well as a scale Pepper Mint figurine.